I have missed several people here very much. I have their pictures hanging on my wall at home or in my cubicle at work. I think about them all the time. I had feared that they would be indifferent to my arrival—indicating that our friendship was not as strong as I had thought. My fears were silly. Every time I pass one of these friends, they come and give me a big hug then hold my hand for a long time (a common show of affection here). As it turns out, the feeling is mutual. Apio and Viola, two girls who lived next to me in 2012. Apio used to call me "mama" so our reunion was very good. Two of my S-4 students approached me after they finished their Biology exam. I asked how they did and they told me, “Of course, we did well. In fact we knew an answer because of you!” I asked what Biology lesson I could have possibly taught and they said it was a question about why humans are classified as mammals. They breastfeed. I can’t possibly take credit for them passing the whole exam, but it is fun to know something stuck! After that, they listed all the things they know because of me. I was taken aback. It makes me want to go tell all my favorite teachers what I took away from them just to share this feeling. The children who were in middle school in 2012 are now tall, mature, articulate, confident teenagers. I burst with pride and awe whenever I talk with them. Some of these kids have experienced more traumas in their less than 17 years on this earth than most Americans will in a lifetime. And yet, they are hardworking students, loving friends, active community members, and smiling young people. I tip my hat to Real Partners Uganda and Tree of Life Ministries. This project is changing the world for these kids, and changing these kids for the world. I often would describe this place as camping without walls. The line is blurred between the great outdoors and the cozy indoors. I grew tired of the bugs and dirt by the end of 2012, but on this brief trip, I am only focused on the blessings this brings. Birds chirp from all directions at all hours. A rooster wakes me each morning. The weather dictates the day like Mother Nature is in charge. I love it. Working full time in America does not leave much time for being outside during the summer. As hot and grueling as some of these days have been, I really do LOVE the unavoidable sunshine of this equatorial town. I think I will be set on my Vitamin D store for the year! I’ve talked a lot about my reunion with the Ugandans, but I have also experienced one more reunion. The founders of Real Partners Uganda, Elaine & Joe Griswold and Kathryn & Dana Hiscock are walking this journey with me too. These four are a constant source of inspiration. I should be so lucky to live my life with as much passion, dedication, faith, courage and love as these four have shown the world. They’ve offered their retirement to doing God’s work. They have done it in partnership with their Ugandan counterparts—which cannot always be said of projects in East Africa. 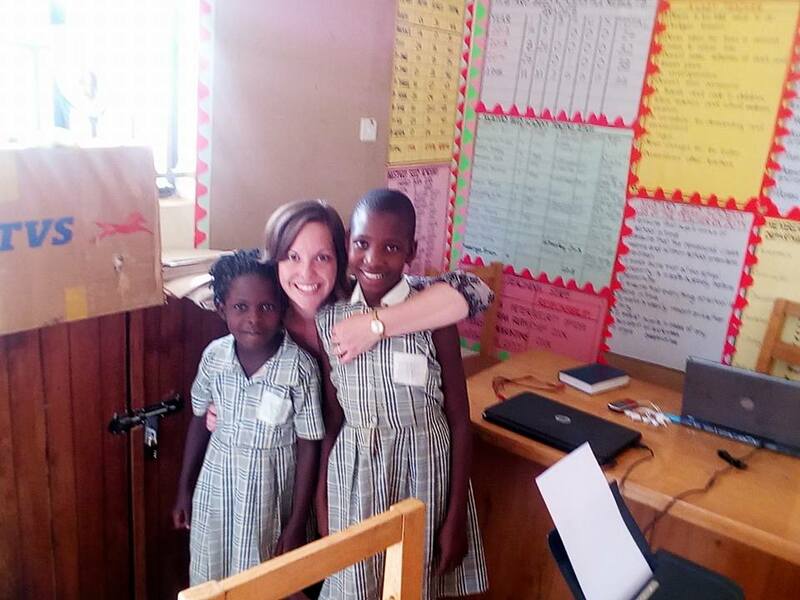 Their project gives the most vulnerable children of Lukaya the opportunity to learn, be loved, and be healthy. Rather than seek to convert children to Christianity, this school welcomes children from all religions and shows them the love of Christ, while providing opportunities to learn and freely practice all religions. They teach by example and the community is stronger for it. I am a better person because I’ve had the chance to be a part of this fellowship. Thanks so much, dear Kristen. How I wish the time could be longer.